According to any economist to the left of J.M. 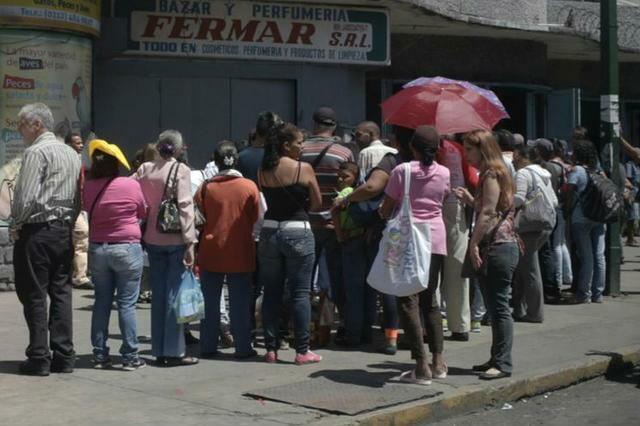 Keynes, Venezuela should be an economic powerhouse. It has vast oil reserves and has strictly implemented socialism. Instead, it is a nightmare of privation, where the people face overwhelming shortages of basic foodstuffs and medicine. Anyone who challenges the government’s denials is likely to face arrest and torture, if not worse. Yet, even silent suffering will not guarantee the government’s OLP storm troopers will not come crashing through your door. Several mothers who this lesson the hard way give their devastating testimony in Margarita Cardenas’s exceptional documentary, Women of the Venezuelan Chaos (trailer here), which screens during this year’s Human Rights Watch Film Festival in New York. Kim is a pediatric nurse who is about to immigrate with her immediate family, hoping to find a more stable life elsewhere. She leaves behind her patients, but frankly there is very little she can do for them. Medical shortages are currently so severe, prospective patients are expected to bring their own bed linens, saline solution, and even basic medicines with them when they check in. Viewers watch as she scrambles from ward to ward in search of a working syringe for a young patient. In all honesty, the apparently connected María José is the least interesting of the film’s five subjects, but she too is increasingly concerned about rationing and the surge in street crime (we learn in the post-script her father-in-law was recently kidnapped). In contrast, Eva is technically unemployed, but she is too busy standing in food queues to hold down a job. The state harshly punishes any outlet that disseminates images of rationing lines, but it is a bitter fact of life for Eva. Unfortunately, it also puts her harms way, by forcing her to be on the streets before sunrise. The experiences of Kim and Eva are certainly damning, but they pale in comparison to what Luisa and Olga have gone through. Luisa and her husband raised their grandson as their own son, but on the eve of his graduation he was arrested without charge and held for several years. It is a bitter irony for the elderly woman, because as a retired police officer, she understands better than anyone how egregiously the government has violated due process. At least her grand/son is still alive. Olga had to watch helplessly as OLP thugs executed her son Mafia-style in front of her eyes, only to realize after the fact they were in the wrong apartment. The impunity enjoyed by his murderers is especially galling to her, because she was a former Chavist, who once bought into the regime’s propaganda. Wisely, Cardenas does not let anything stand between the viewer and the power of the women’s indictments. She is sensitive in her treatment of her subjects, but her unsparing journalistic eye never blinks. However, in between she includes long, immersive tracking shots that capture Venezuela’s squalid housing, crumbling infrastructure, and ever-present queues in vivid, visceral terms. Cardenas’s record of the suffering caused by the Chavist regime is beyond convincing and compelling. It is absolutely damning. Many people are justifiably upset at signs of the Trump campaign’s collusion with Russia, but the same people stood by silently when former Rep. Joseph P. Kennedy did Hugo Chavez’s propaganda bidding by pimping free Venezuelan heating oil. He has a lot to answer for, from Kim, Eva, Luisa, and Olga. As a work of documentary cinema, Chaos is deceptively quiet, but every second is absolutely riveting and desperately infuriating. 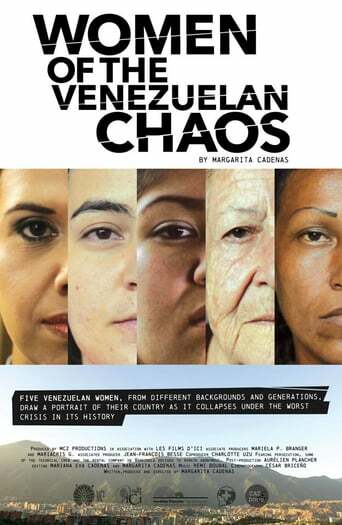 Very highly recommended, Women of the Venezuelan Chaos screens this Friday night (6/15) at the IFC Center and Saturday afternoon (6/16) at the Film Society of Lincoln Center, as part of the 2018 HRW Film Festival in New York.